At Heartland Harvest, our professional design team creates landscapes for clients looking to complement their environment. With my strong foundation in Horticulture and Landscape Architecture, I organize a client/designer relationship to create very unique outdoor settings. Committing to sustainability, we ensure all our North Shore landscaping services stand the test of time, from newly planted gardens to stone patios and driveways. Heartland Harvest builds gardens from design. 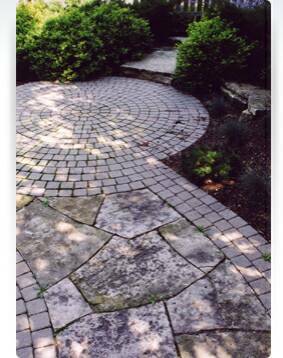 Our landscape designers can sculpt a diverse blend of Chicago landscaping services in a highly efficient fashion. With a landscape design program in place, we schedule our installations on a first come, first serve basis. On site productivity continues until your build project is complete. We offer industry standard warranties and stand behind all our work. We install a full range of projects, implementing rooftop garden design, full property landscape development, and intimate small garden settings. Heartland Harvest works directly with architects, general contractors and builders, bringing landscape visions to life. We also have relationships with many other businesses in the home improvement industry. If we cannot handle a customer request, we’ll find someone who can. We can also refer other trades people to entertain your home improvement requests.